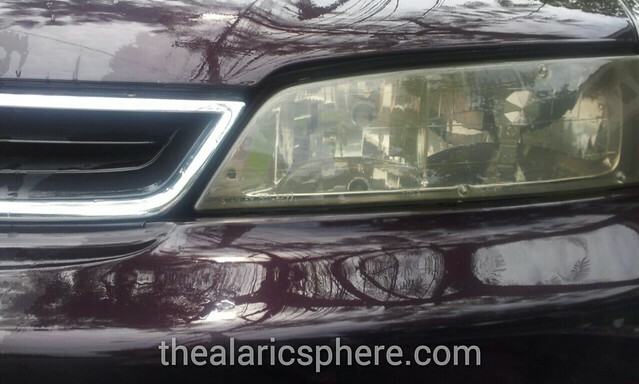 I saw a tip online that you can use regular household items to do awesome stuff, one of which was the ability to clean blurry or foggy headlights using regular toothpaste. This tip stood out since we have an old car that had just this problem. I saw that Honda offered their service to defog headlights for something like P1,000 or something which I never got to avail. So, with nothing to lose, I tried it. First was to get some toothpaste. Since I didn’t want to use my stockpiled Crest toothpaste, I opted to use some expired stain fighter Lion toothpaste. Don’t ask where it came from because I have absolutely no idea. Then I went to get my dog Kimono’s baby wipes that I use to clean his paws and ears. Not pictured here is the bucket of water and my strong determination. 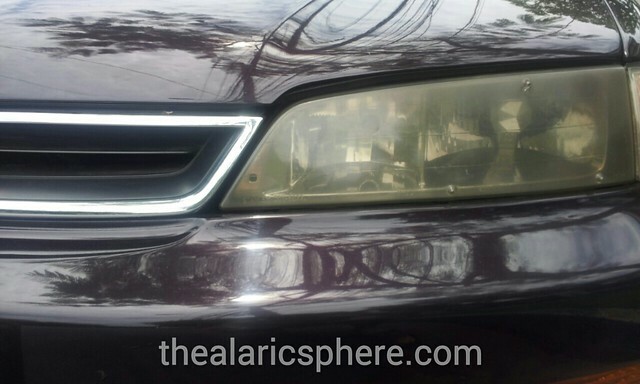 The first picture shows the “before” state of the headlight. As you can see, it has gotten quite foggy already and as a result, it’s a bit difficult to drive the car at night since the light doesn’t shine as bright. This is dangerous as well since this is the driver’s side. 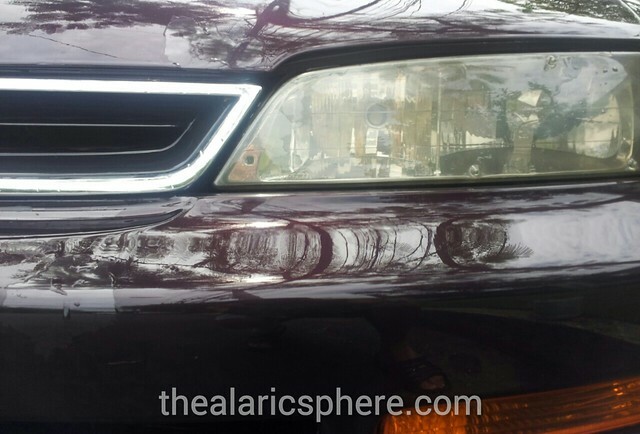 After a few minutes of wiping, I could visibly see that the headlight had become less blurry. It still wasn’t as good as brand new, but there was some improvement. I then thought that the full effect was being deterred by the fact that I was using expired toothpaste. So I went and got a tube of Colgate and went to work some more and below is the result. It cleared up some more but not as drastic as from the first. Overall, I think that it did the job by improving it by even just a little bit. It won’t ever be as good as new, but for close to nothing in terms of cost, I will call this a success.